It must be hard to accept for Samsung think tanks the defeat of Samsung Galaxy Gear. It had so many expectations but has a little to offer in return. But Samsung is determined to right its wrongs, and although it already announced that a second watch is on its way, this one could come with a completely new identity in the form of the Samsung Galaxy Band. Korean site Digital Daily (via Ubergizmo) claims Samsung's next wearable gadget will be called the Galaxy Band, and will focus more on health and fitness than the Gear did. If the news has any credibility than its alarming for rivals like the Nike FuelBand and the FitBit. Samsung will unveil the Galaxy Band at Mobile World Congress in February, with the device going on sale sometime before the end of March. These are just rumors at the moment, so take it all with a pinch of salt. But it's certainly intriguing. The source claims that the Galaxy Band will be packed with load of sensors for capturing data on motion, pressure and temperature, and that it will link to Samsung's Galaxy devices via Bluetooth LE. The Galaxy Band will be worn on the upper arm, rather than being a traditional smart watch, according to Digital Daily. Fitness tracking tools like a pedometer are said to be on board. 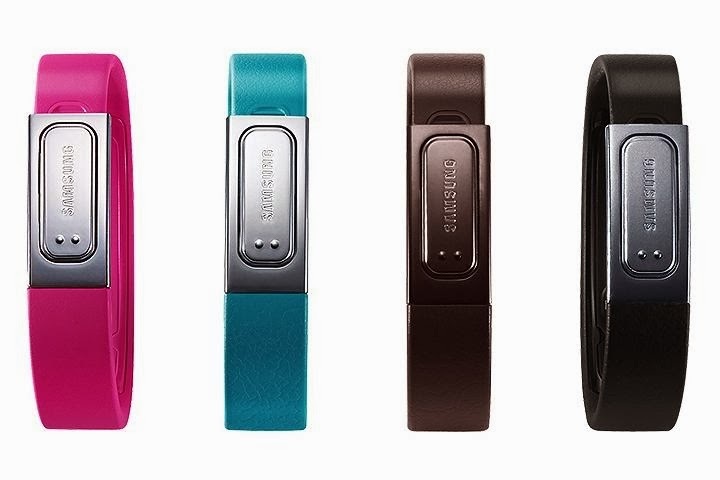 Like the Galaxy Gear, the Band should connect to your mobile device over Bluetooth. Another interesting part of the news is the attachment of Apple! Luc Julia, VP of Samsung's innovation lab and former Apple engineer who oversaw the development of Siri, is said to be overseeing the project. Julia formerly worked on Siri, Apple's robot butler that lives in your iPhone. Julia joined Samsung in 2012 and has been heading up its Internet of Things project, SAMI (Samsung Architecture for Multimodal Interactions). Though Samsung fail to impress us with Galaxy Gear but still they manage to sell 800,000 of them. Which is pretty impressive, for an accessory that costs £300. Nevertheless, Samsung admitted the device lacks something special, and promised a sequel is coming soon. So galaxy gear 2 is on the way for sure!